As the cold weather sets in you need a warm top layer to keep you grafting comfortably throughout the day. The Scruffs Worker Fleece is made from 100 per cent polyester microfleece, delivering an extra layer of insulation without restricting movement. The water resistant, quick drying fabric makes the Scruffs Worker Fleece the perfect top to get you through the changing seasons. 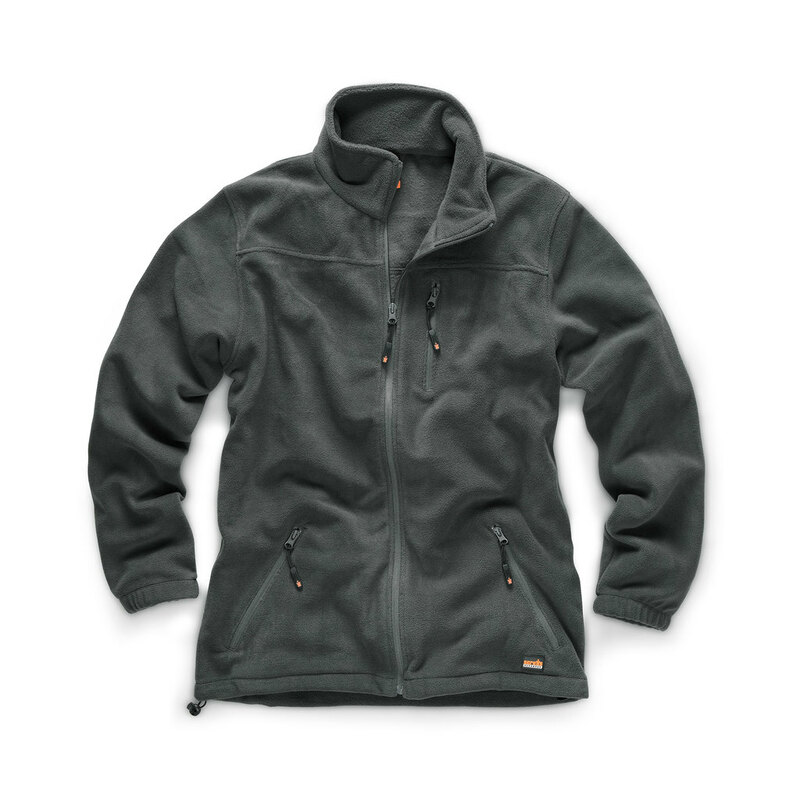 With elasticated cuffs and an adjustable hem, this zip thru fleece keeps the cold draughts out. In operation since 2003, Scruffs designs workwear and safety footwear for a new generation of trade professionals. Engineered with technical expertise to deliver outstanding comfort, durability and functionality, Scruffs workwear is made to work as hard as they do.